There are many options when treating sleep disorders. Approximately 25 million adults in the U.S. have obstructive sleep apnea (OSA), which can cause them to stop breathing hundreds of times a night for anywhere from a few seconds to more than a minute. OSA is a chronic condition that occurs when your muscles relax during sleep, allowing soft tissue to collapse and block the airway. As a result, repeated breathing pauses occur, which often reduce your oxygen levels. These breathing pauses are followed by brief awakenings that disturb your sleep. Common signs of OSA include snoring and gasping or choking sounds during sleep. The importance of treating OSA? Treating OSA is incredibly important to your health. When left untreated, OSA often causes excessive daytime sleepiness or fatigue, as well as morning headaches and memory loss. OSA also is a threat to your safety as it increases your risk of drowsy driving and workplace accidents. OSA raises your health risk for serious health problems. These include high blood pressure, stroke, heart disease, diabetes, chronic acid reflux, and erectile dysfunction. The growing issue of OSA in children and the importance of early detection. As a parent, you know how important a good night’s sleep is for your child’s health and well-being. You also know that if your child is not sleeping well, you are probably not sleeping well. The first step in helping your child overcome sleep problems is to help determine the cause, then work to eliminate the factors causing the disorder. However, some, if not most, sleep problems require seeking the help of a professional. On the frontline of early diagnosis of sleep disorders in children are your dental and orthodontic specialist. While often times there are medical conditions that require the final diagnosis and treatment plans be executed by a medical physician there have been great advances and successes with an oral appliance therapy ( OAT). 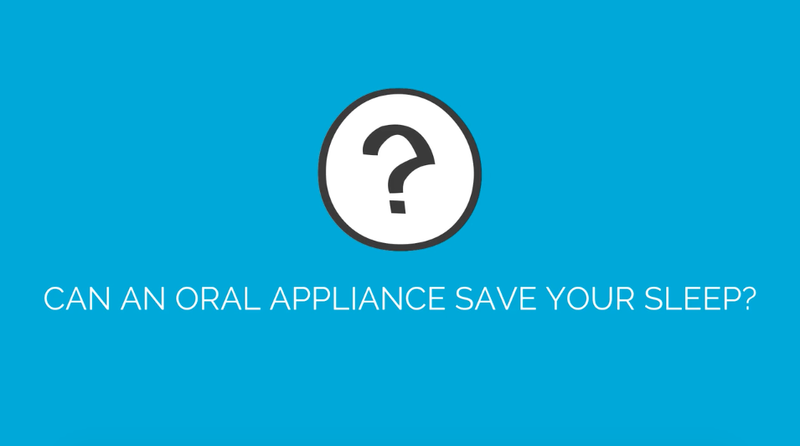 How Oral Appliance Therapy works. OAT therapy is designed to hold the lower jaw forward during sleep. This repositioning of the jaw moves the tongue away from the back of the throat, reducing the potential for obstruction. Oral Appliance Therapy (OAT) is widely accepted and is growing in treatment for Adults and children and there has been many scientific studies and evidence of its success as an alternative therapy before moving on to more complicated breathing devices or invasive surgery options. Now with the ability to have views like never before of a patients airway and jaw structure using CBCT (Cone Beam Imaging). Custom fit devices can be made for the specific patient, adult or child. These devices are affordable, portable and custom designed for the patient’s specific needs and anatomical dimensions to provide optimal results for many airway and breathing disorders.